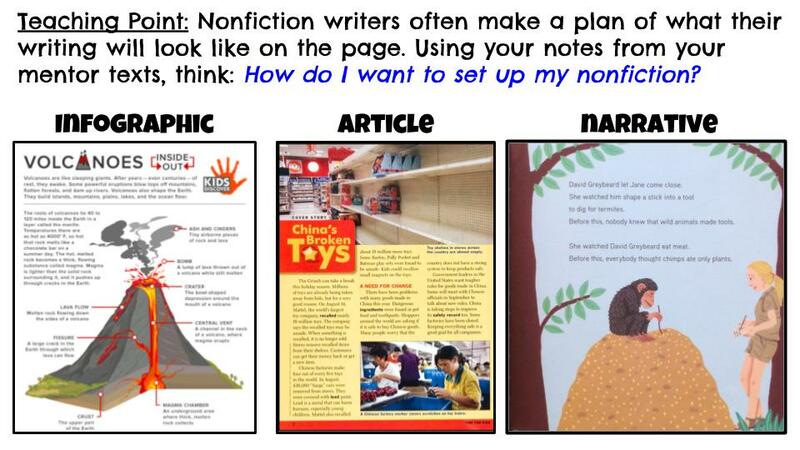 Nonfiction writing has been one of my biggest struggles as a fifth grade teacher. My students love reading true texts, but when it comes to the writing, they struggle to carry over all the wonderful craft moves we’ve learned from fiction writing. 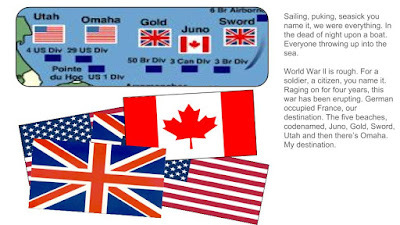 Even though I allow them to choose a topic and decide how to gather research, in the past, most of the writing I received was just a string of facts. So this year I tried something new. 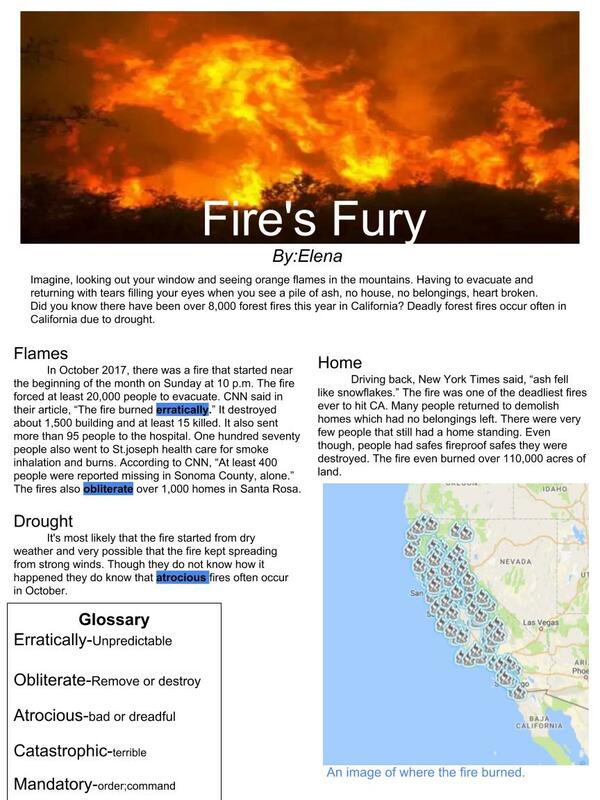 I let them choose how they present the information. 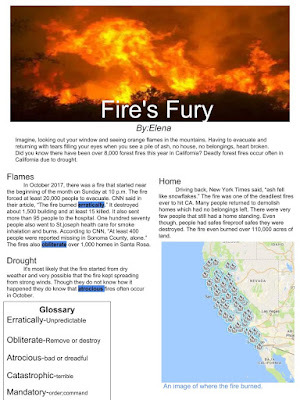 They create an (1) infographic, (2) an article with an expository writing style, (3) or a narrative. 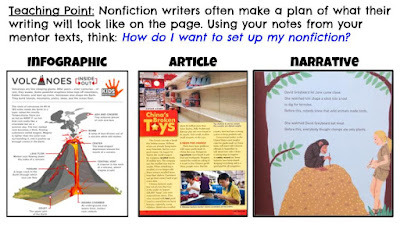 We read all three kinds of text during Reader’s Workshop, so students had some familiarity with the various ways nonfiction could be presented. After students chose a presentation style, they had 2 days to become experts. They read at least three different texts in the style they selected “with a writer’s eye,” so that they could begin to notice important characteristics and get ideas for their own writing. I had baskets of books pulled and ready so students could easily find titles that were narrative and expository. 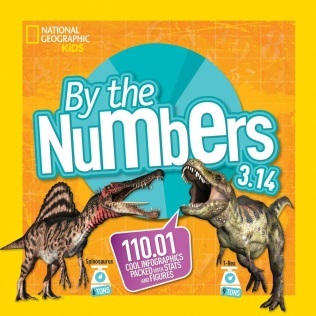 I also pulled infographic texts like National Geographic’s By the Numbers series and shared the link to the Kids Discover Infographic website. As students read on their own or in small groups, they kept track of text traits they noticed on a Mentor Text Observations worksheet. At the end of this reading period, we met in small groups and discussed what they noticed. Each group shared key features of their presentation style and any craft moves they wanted to try out in their writing. Then we came together as an entire class to list things that all great nonfiction writers do. These were things we expected to see in all the students’ writing assignments, giving the class some voice in the grading criteria. Students were enthusiastic and engaged as they drew up plans and outlines and began writing. As a teacher, I wasn’t sure what I was going to get as final products, but I knew I had to trust my students. And they didn’t disappoint me. I was amazed at the variety of writing I received. 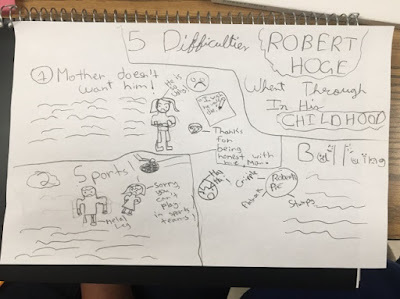 I had kids taking writing risks by employing craft moves and text features they noticed from the mentor texts. Students seemed to really think about their topics and their strengths as writers. I can’t imagine locking my students into a presentation style ever again. Allowing them choice and ownership not only made their writing better. It also encouraged them to do some critical thinking and decision making. And to be honest, it wasn’t any more work for me as a teacher. The only extra work was making sure I had enough mentor texts for students to read and consult. Were their challenges? Of course! Some students really struggled with all the choices, so I set up some scaffolds along the way. 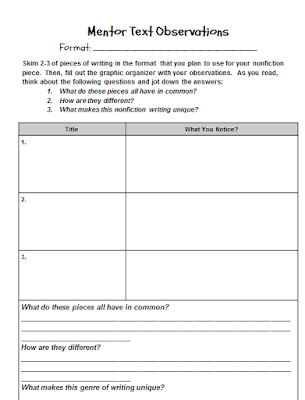 Graphic organizers and templates were available for students who needed help with the planning stages and organizing all their information. Some students were a little overly inspired by mentor texts about their topic, so we had to talk about plagiarism and how they could put their own spin on their writing. Next year, I am going to make it a rule that students may not read a book about their topic during the 2-day immersion period. 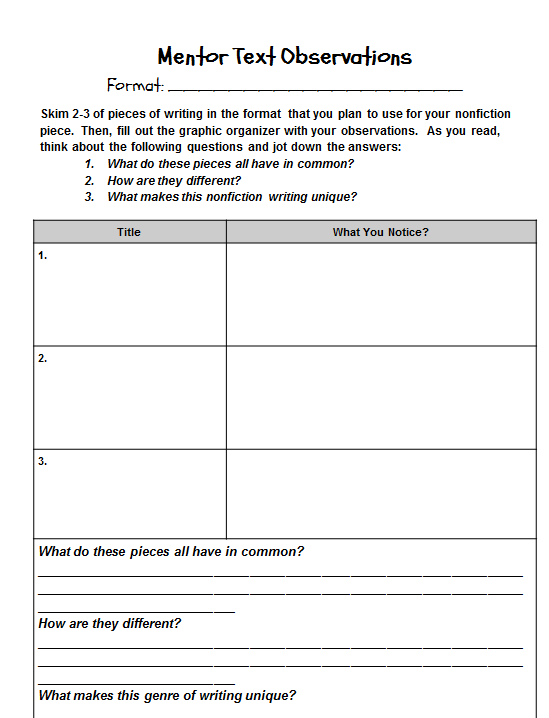 Hopefully, this will help students focus on craft and presentation style without enticing them to borrow features and wording for their own writing. 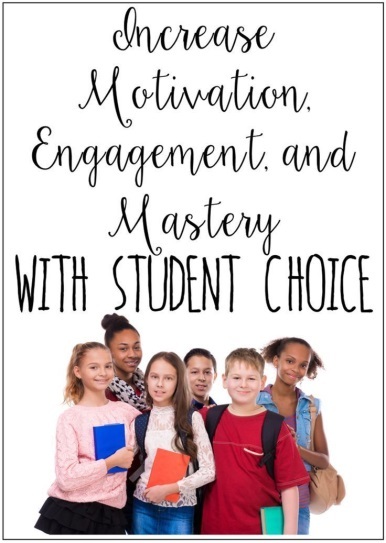 Ultimately, giving my students choices within their writing didn’t add any extra work to my plate. Instead, it renewed us all, and we saw the power of collaboration around nonfiction writing. Watching students celebrate and take pride in their work made me realize just how powerful choice can be, not only in reading, but also in writing. Amanda Schreiber is a fifth grade teacher at Mason Intermediate School in Mason, Ohio. She blogs at My Shoestring Life and loves celebrating the work of her students. 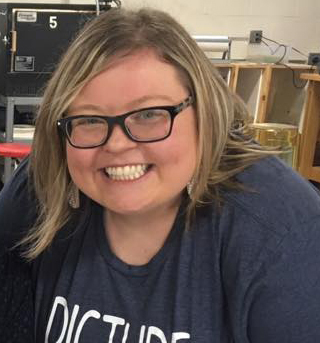 You can find her on social media as @msaplusteacher. Wow! Your students' work is impressive! Their enthusiasm for this approach shines through. I'm keeping your process in mind as I start a new nonfiction picture book project. Thanks for sharing. Wow--this is great! They're really and inspired and engaged!